EDITOR’S NOTE: A previous version of this article included individual links to the “Oprainfall Plays” series of videos on the site. This has been updated with a link to the master page for that series. 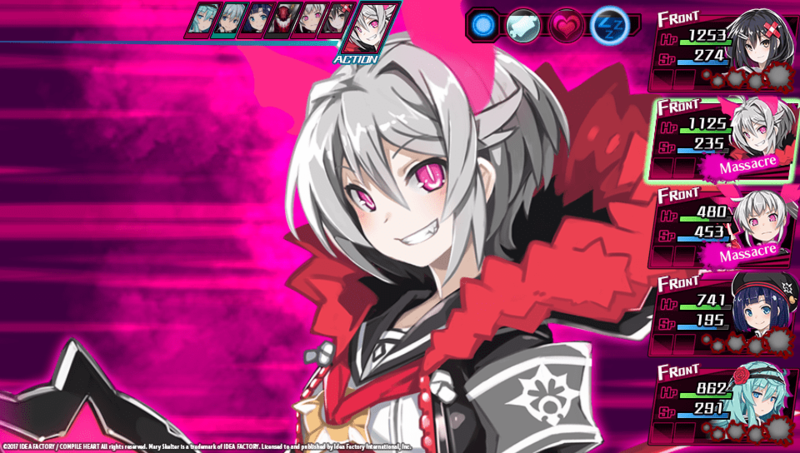 Mary Skelter: Nightmares is the latest title developed by Dengeki Bunko and Compile Heart and localized to North America in its entirety by Idea Factory International, Inc. Operation Rainfall caught up with Idea Factory International, Inc. and Arianne Advincula, their PR/Marketing Coordinator, to ask some questions about the game, the localization process, and if we will see Mary Skelter: Nightmares ever come to other platforms! You can visit Idea Factory International, Inc. at their website, like them on Facebook, follow them on Twitter, post on the official forums, and subscribe to them on YouTube. 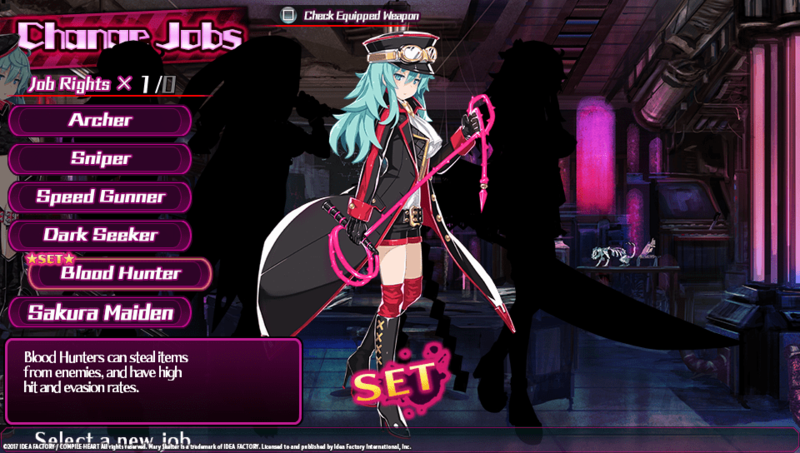 You can also visit the official IFI website for Mary Skelter: Nightmares [Warning: Must be 17+ years of age to access, due to this game being rated “M” for “Mature” by the ESRB]. Mary Skelter: Nightmares comes out exclusively for the PlayStation Vita on September 19, 2017, for North America and September 22, 2017, for European audiences. Operation Rainfall‘s own Benny Carrillo has been playing through Mary Skelter: Nightmares as well, and been posting videos of his gameplay up on YouTube. You can watch him play and give some thoughts on the game here. 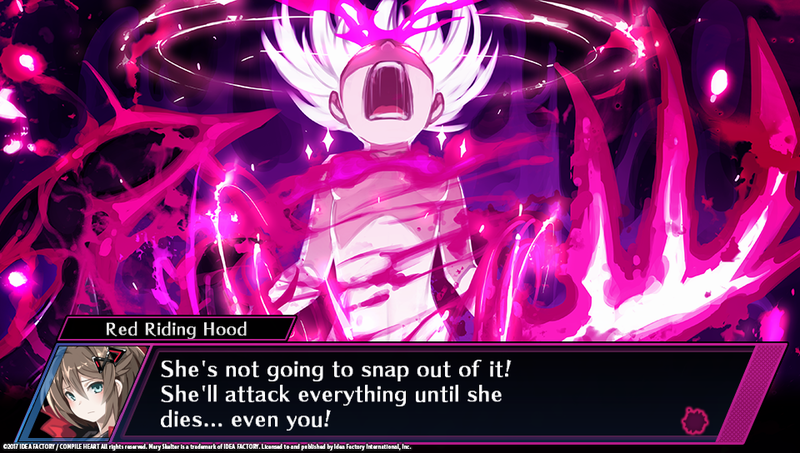 Operation Rainfall: What is Mary Skelter: Nightmares about, and who/what exactly are the Blood Maidens? 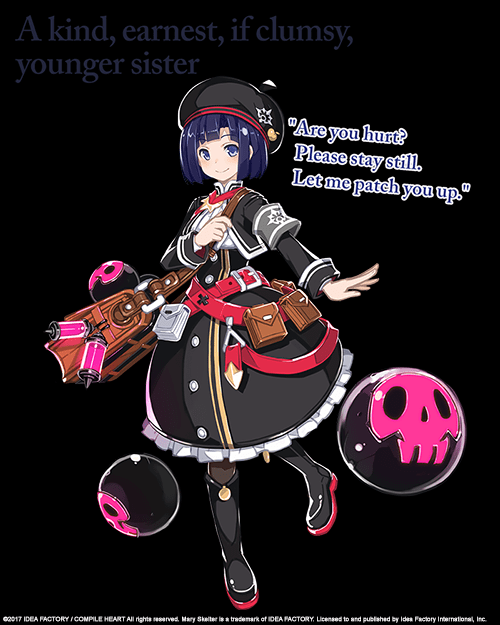 Idea Factory International, Inc. [Arianne Advincula, PR/Marketing Coordinator]: The story of Mary Skelter: Nightmares follows Jack and the Blood Maidens, prisoners of the living Jail, and their quest to escape. The Blood Maidens are prisoners who discover they possess a superhuman, blood-based power and use those newfound abilities to assist Jack in the escape. 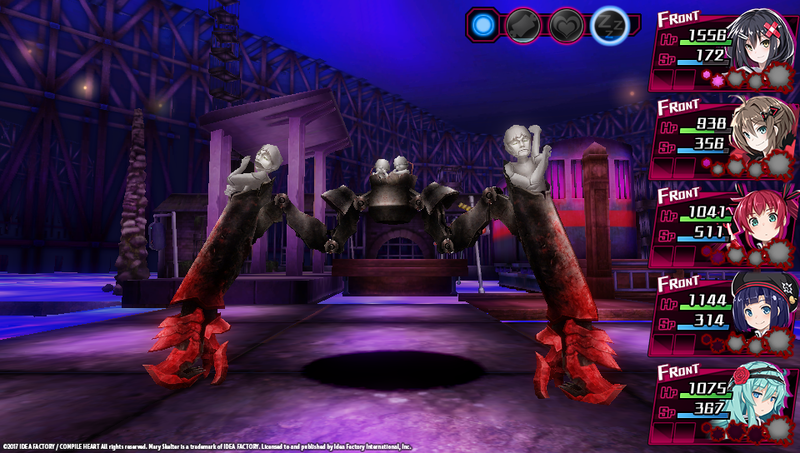 As the player progresses through the Jail, they learn more about these characters and the Jail’s origin. All the characters and their abilities are based on fairytales–it’s a unique, blood-filled story. 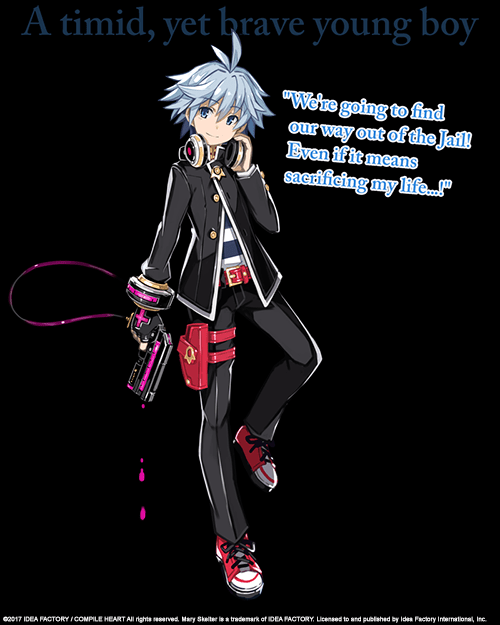 Jack is the protagonist of Mary Skelter: Nightmares. OR: There is a much discussed ‘lick’ feature in the game. How does that work in combat? IFI: Only Blood Maidens can “lick” in the game. As enemies are felled during battle, blood splatters on the party. You’ll reap certain boosts and benefits depending on who you choose to lick blood off of – for example, licking Alice heals the party. However, if you let the blood accumulate on a Blood Maiden, she’ll transform and enter into “Massacre” mode, becoming more powerful and unlocking extra skills. If she gets even more blood on her, then she can go into “Blood Skelter” mode – an even stronger form that you can’t control! With that in mind, the licking is just one aspect of battle strategy – do you lick blood to recover, or let the blood run and go all-out? 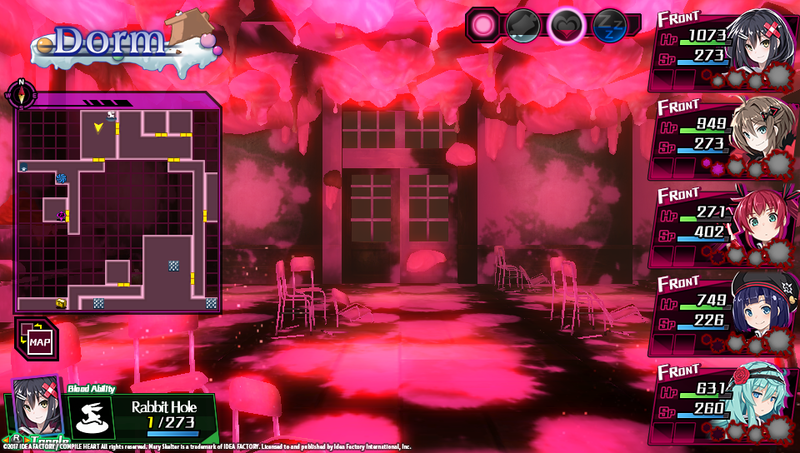 Licking is an important battle mechanic in Mary Skelter: Nightmares, as seen above. 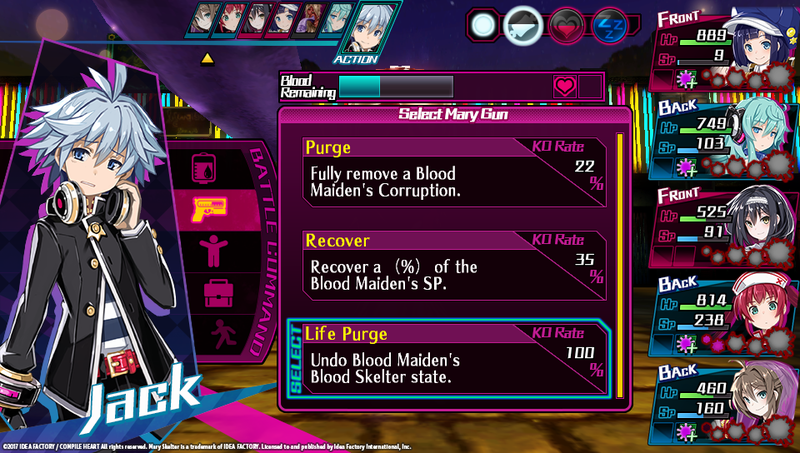 Below, Blood Maidens enters into “Massacre” mode (middle) and then into “Blood Skelter” mode (bottom). 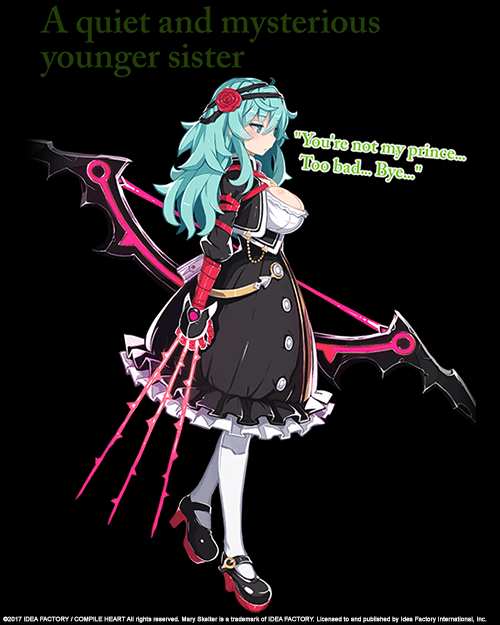 OR: Why did you decide to localize Mary Skelter: Nightmares for North American audiences? IFI: When we first saw Mary Skelter: Nightmares, everyone thought it looked interesting! The special enemies known as Nightmares chasing players in real-time, amount of interactivity in dungeons, and unique characters make it unlike any other game we’ve brought over before–we’re always looking to bring exciting RPGs to the West. OR: This title was developed by Dengeki Bunko and Compile Heart over in Japan. What role(s) have those companies played, if any, in the localization process for this title to North America? IFI: By the time the game gets to our hands, the game’s already been developed. 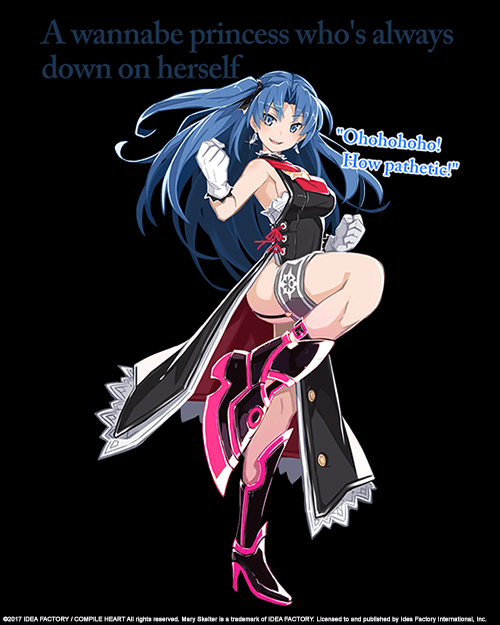 All that remains is us localizing the text and having Idea Factory implement the English text. OR: Was IFI keeping an eye on Mary Skelter: Nightmares when it was being developed over in Japan? If so, what initially intrigued IFI about the game? IFI: We’re always checking out Idea Factory’s releases. As I mentioned earlier, we liked the art style and unique gameplay elements. 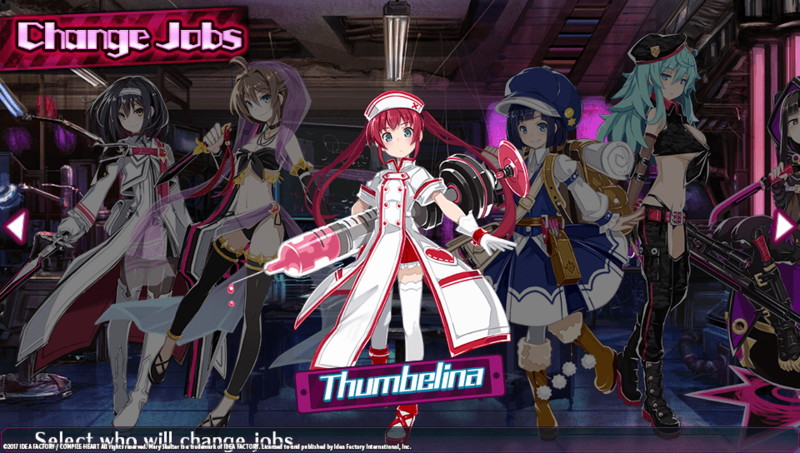 There are a multitude of jobs to choose from for your Blood Maidens in Mary Skelter: Nightmares. 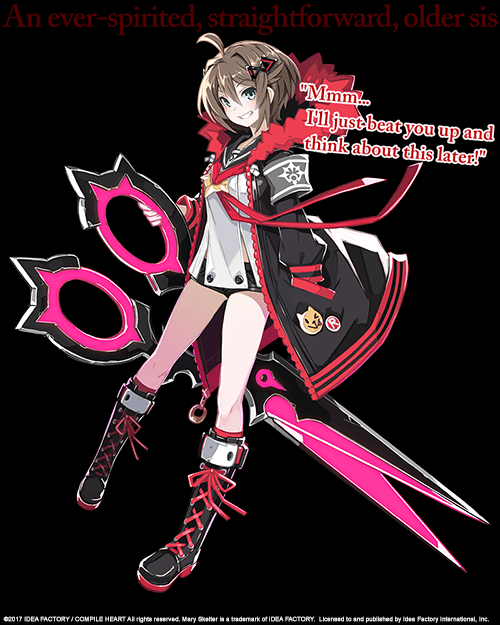 OR: Mary Skelter: Nightmares features several pieces of tie-in material that flesh out the world and characters. Are any of these materials being brought over with the English release, and in what forms? IFI: Yes, there was a prequel novel released on the Japanese website. We’ve consolidated that novel with novel excerpts found within the game and have released a Mary Skelter: Nightmares Novel Book with the Iffy’s Online Store-exclusive Mary Skelter: Nightmares limited edition! You can get a copy from iffysonlinestore.com [USA] and store.iffyseurope.com [EU]. 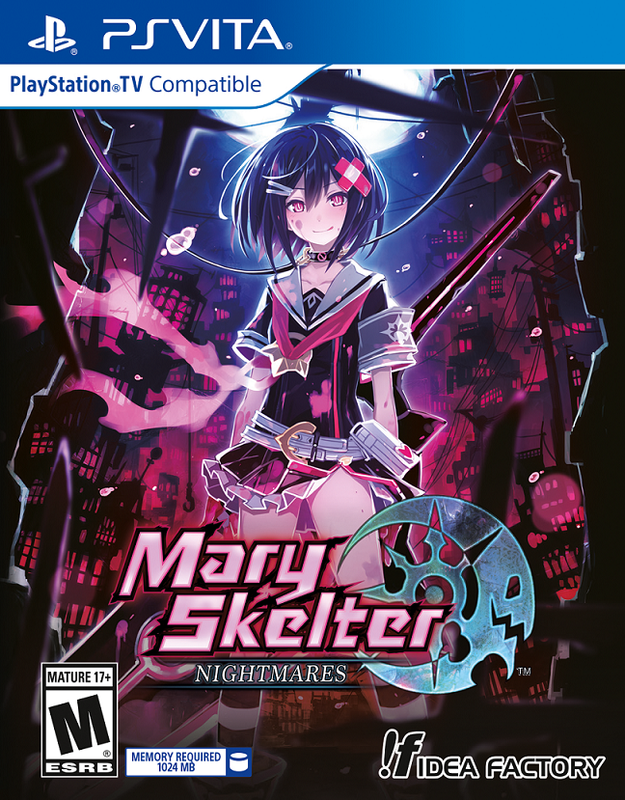 OR: In Japan, Mary Skelter: Nightmares received a Limited Edition release (as many titles in Japan do). Considering IFI’s own experience with Limited Editions (as released through their online store), was there anything in particular that stood out about the Japanese Limited Edition for IFI? Are there any plans for a North American Limited Edition for this title? IFI: We like Nanameda Kei’s art, so of course the Japanese limited edition box art stood out. 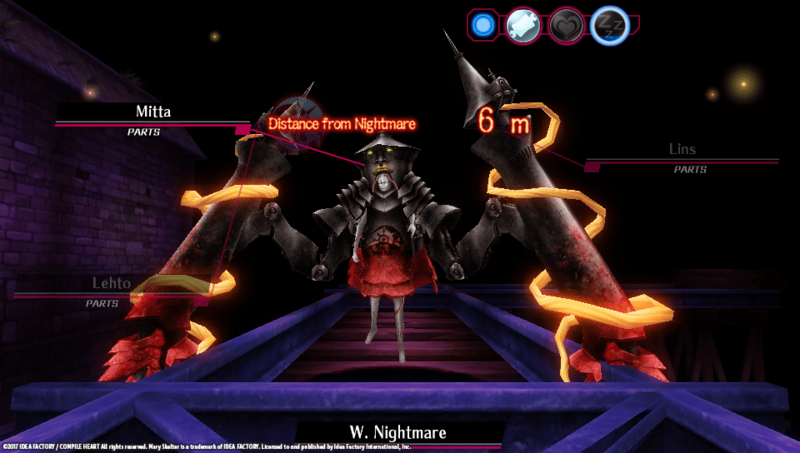 Actually, we released our own Mary Skelter: Nightmares limited edition! It’s on Iffy’s Online Store [here] [NA]. You will fight against numerous Nightmare enemies as you try to escape Jail. OR: IFI has been committed to localizing games without censoring or removing content from them, and naturally, every game is different when it comes to localization. Was there ever a point when IFI was unsure if Mary Skelter: Nightmares would be able to make the trip West, and what was the content review process like? IFI: We follow all of Idea Factory’s updates. Normally if we have concerns about a game, we’ll do our best to verify its viability for launching in the West in its entirety. OR: Along those lines, what role does trying to ensure a specific rating from the ESRB play in IFI’s decisions to localize a title? IFI: If changes are required to bring a title over to a particular platform, we will not bring that title over to that platform. Blood plays a significant role in the dungeons in Jail. OR: What were the biggest challenges and surprises so far for localizing this title? IFI: Like most visual novel narratives, there’s a lot of text. That’s always challenging for any localization team, but we’ve got a translator who works amazingly fast (shoutout to Nobu)! 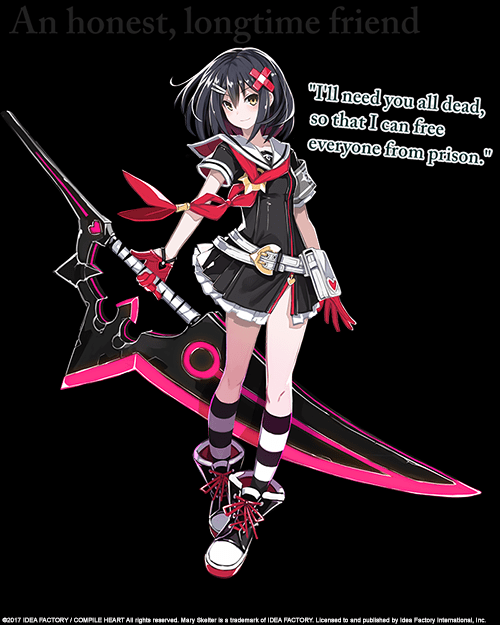 OR: Mary Skelter: Nightmares, like many games, had DLC that was released in Japan. While nothing has been announced as of yet for the English release, what kind of DLC was available in Japan, and does the process for getting approval for DLC localized differ much from the game itself? IFI: We’re bringing over DLC that was available in Japan, including the Sakura Maiden class, an all-around, balanced class that all of the Blood Maidens can equip. The Sakura Maiden costumes are lovely, and it’ll be free! The process of acquiring DLC isn’t any different from working on localizing the game itself. 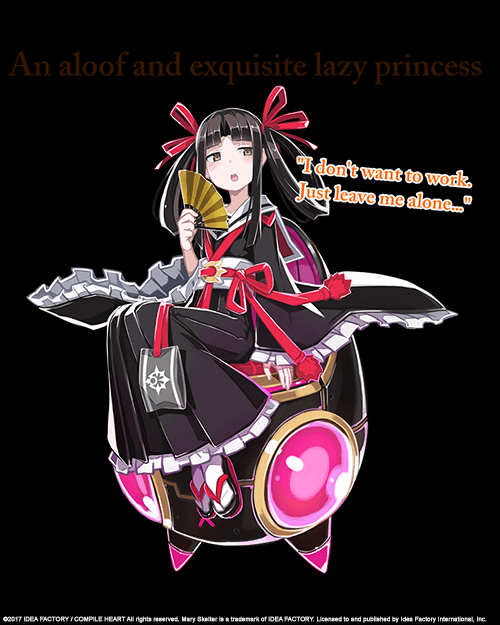 The Blood Maidens in Mary Skelter: Nightmares all borrow their names from classic fairy tales. OR: IFI tends to release many of its games on Steam sometime after its initial console release (with the most recent example being Hakuoki: Kyoto Winds, coming August 24, 2017). 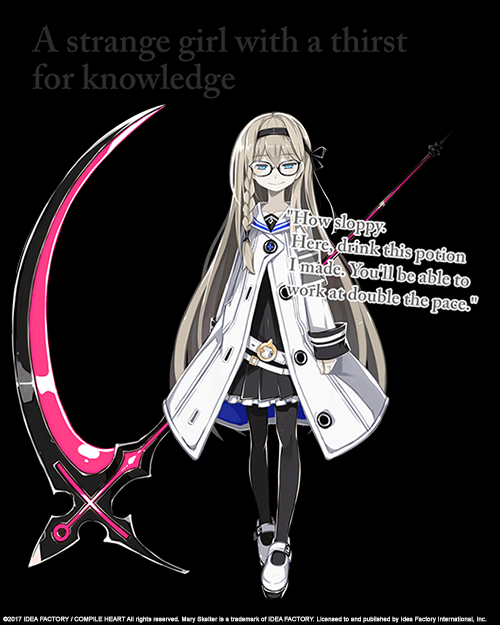 If we were to use Mary Skelter: Nightmares as an example, what kind of challenges are there in localizing and porting a game to Steam as opposed to another system like the PlayStation 4 or Nintendo Switch? IFI: Porting games to Steam presents a lot of challenges–remapping the controls to fit a keyboard, up-resing 720p PS Vita resolution to 1080p. Plus, unlike consoles, every PC is different so all kinds of bugs can occur. For this reason, we do closed-beta testing to address the multitude of issues that we couldn’t find on our own. OR: If IFI had the opportunity to, would you like to release Mary Skelter: Nightmares on additional systems such as the PlayStation 4 and Nintendo Switch? IFI: Releasing on more platforms allows a wider audience to play our games, so of course we would like to, but we’ll have to see. Would anyone reading like to see Mary Skelter: Nightmares on other platforms? All images are courtesy of Idea Factory International, Inc.
Are you planning on picking up Mary Skelter Nightmares for the Vita? Would you like to see it on the PlayStation 4 or the Nintendo Switch?